Measuring the physical properties of the core. Jong Hwa, from South Korea, is sailing as a sedimentologist. He specializes in looking for evidence of volcanic eruptions in the sediment. Usually the sediment at the bottom of the ocean builds up slowly; however, after a major volcanic event there may be a rapid deposit of volcanic ash. The composition of the ash has a geochemical signal that links it to a specific volcano. This ash is useful to research in several ways. Ash layers are useful when comparing cores from different sites. As ash is deposited over a large area at the same time these layers mark a specific moment in time, which is used to help the scientists compare or correlate the cores from different places. Finding ash in the sediment also allows us to gain an understanding of past climate. 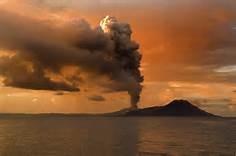 Volcanoes can erupt on land or underwater, with winds and currents carrying the ash. The extent of the ash deposit can help us to understand the direction and speed of past wind systems, and also the strength and direction of past currents. 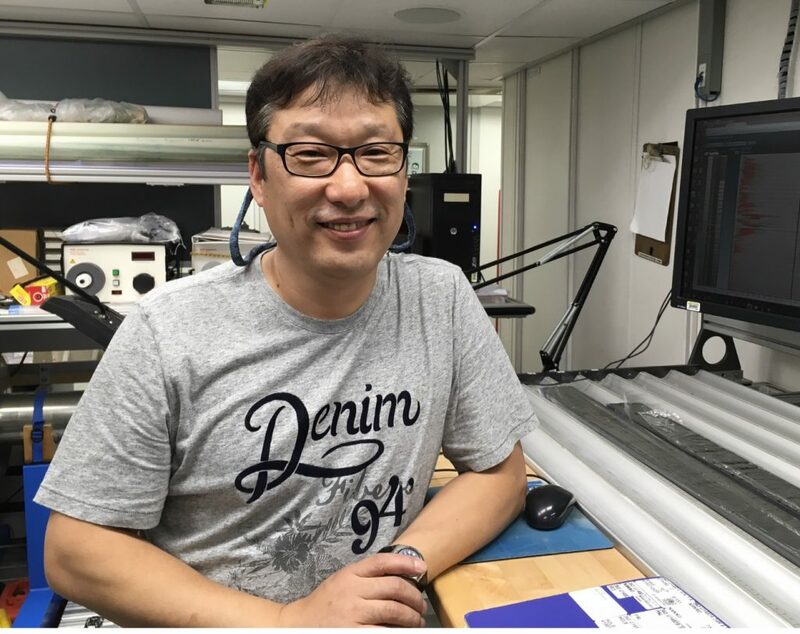 By looking at the distribution of ash layers in the sediment cores collected during the expedition, Jong Hwa will reconstruct past current and wind systems. The shape of the volcanic ash grains also gives Jong Hwa clues about the volcano and the ‘volcanic explosivity index’. The ash particles shapes are different depending on the volcano and the way in which it erupted. The area over which the ash is seen across a region also enables us to understand more about the size of the eruption. understand how both volcanoes that erupt above and below the sea can affect the marine environment. We know that big eruptions that result in a great deal of ash entering the atmosphere can result in volcanic winters where the Earth becomes cooler due to significant blocking of sunlight by the airborne ash. Whilst on board, Jong Hwa has enjoyed working with scientists with a diverse range of specializations. He finds that collaboration helps him to refine his own ideas. Jong Hwa has a wife and two children. His daughter is living in Japan while attending university there. His son is currently attending high school.